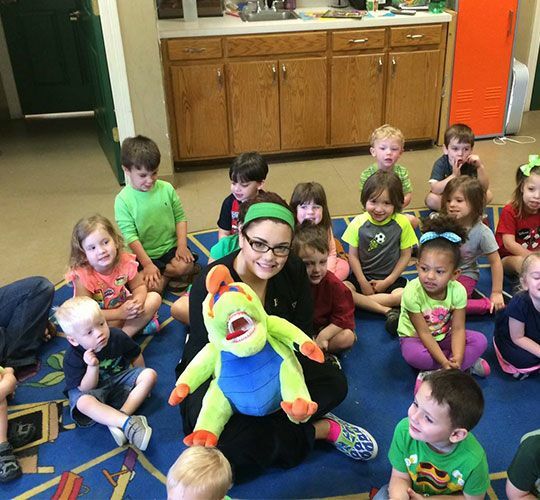 Getting kids to appreciate oral health early is a keystone to establishing a lifetime of good oral hygiene. The American Academy of Pediatric Dentistry suggests that parents have their child seen by a dentist after the first tooth erupts or by the first birthday. When children have an opportunity to visit the dentist under non-threatening circumstances first, future visits may not produce so much anxiety or apprehension. After the first visit where they get to see the tools we use and get a feel for the environment, they have a tendency to enjoy their visit. 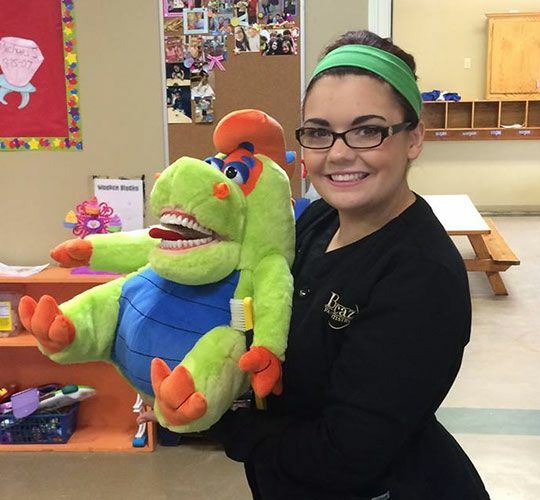 With the education we provide around oral health at Bencaz Family Dentistry, they will actually enjoy taking care of their teeth. Getting these good oral hygiene habits ingrained early means fewer dental problems as they get older and into adulthood. We See Kids Starting at 3 Years Old! Bringing your child to a dentist that takes the time to help children feel safe and secure while in the dental chair is important for a variety of reasons. First, you want your child to have a pleasant experience in the dental office. It is unsettling for the child, parents and others when a child is full of anxiety and fear when facing an encounter with the dentist. When a child is wrought with apprehension or fear, attending to the child’s oral health is very difficult. Establishing that the dental office is a fun and friendly place early on lays a strong foundation for a lifetime commitment to good oral health. 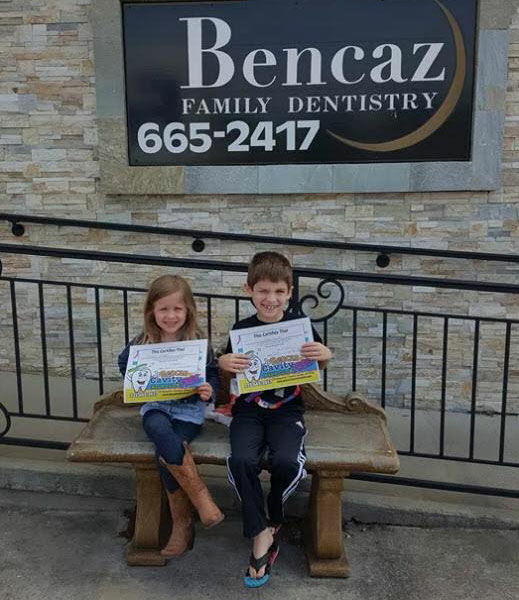 At Bencaz Family Dentistry, we go the extra mile to make sure your little one is comfortable and relaxed. We take the time to get your child acclimated to the dental office. We engage your little one so that a rapport is established. We also talk with you and listen to any concerns you may have about your child’s oral health. We inform you of any potential problems that could develop. Regular dental checkups keep oral problems at bay and they give us ample opportunity to correct anything that may be going in the wrong direction. 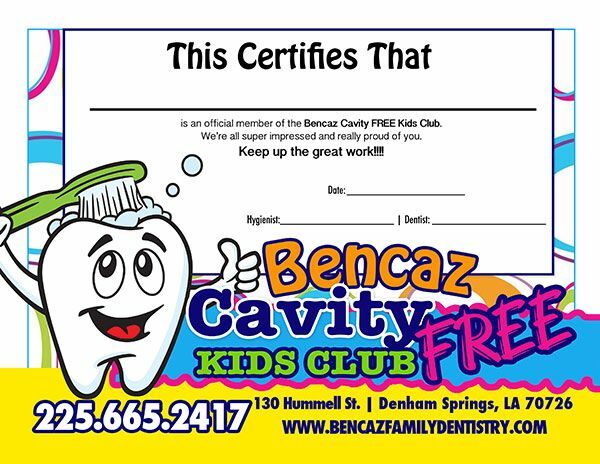 We love all kids at Bencaz Family Dentistry, so do not hesitate to bring your little one in. It will be an opportunity for you and your child to see our facility and get to know us. Contact our office today to schedule an appointment for your child or for all your children. 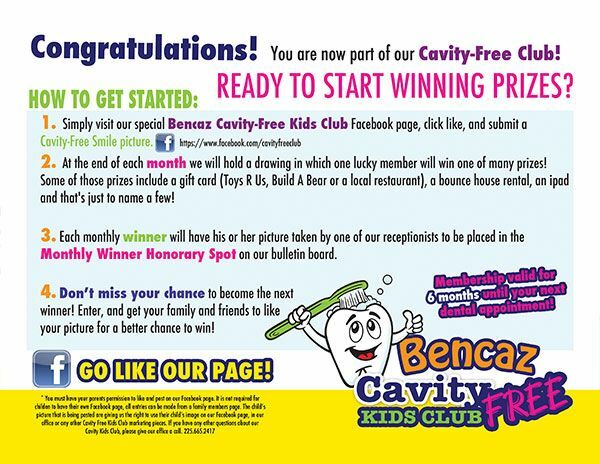 The Bencaz Family Dentistry team is committed to helping your children achieve their optimum oral health. Our No Cavity Kids Club is designed to teach children the importance of taking care of their teeth from an early age and then we equip the kids with the know-how to take great care of their teeth everyday.